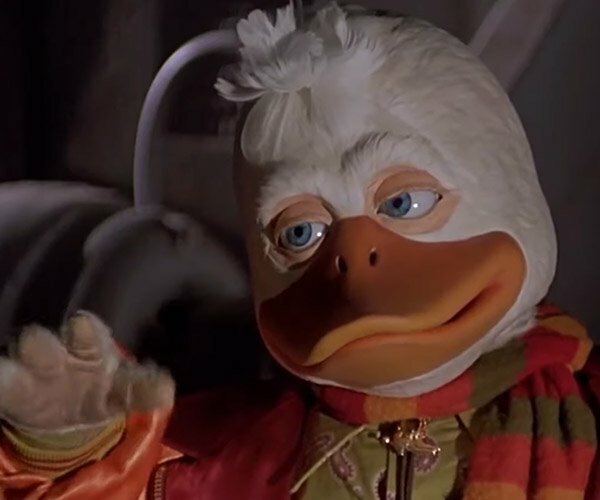 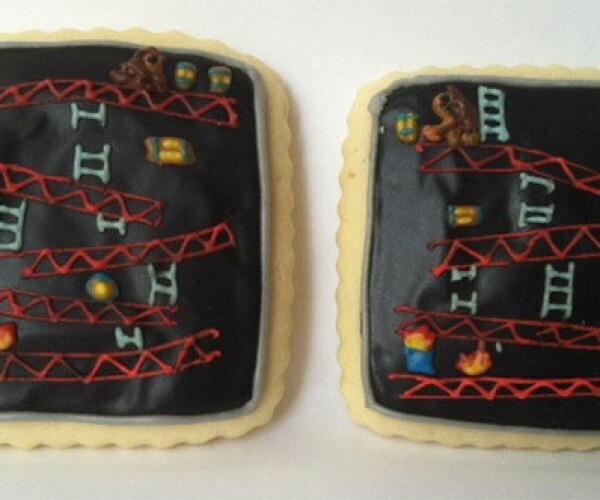 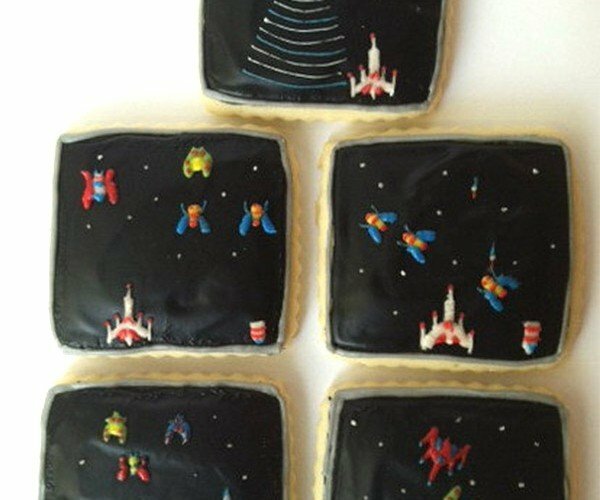 These incredibly-detailed cookies are based on classic arcade and console games ranging from Galaga, to Duck Hunt, to Donkey Kong, and look great. 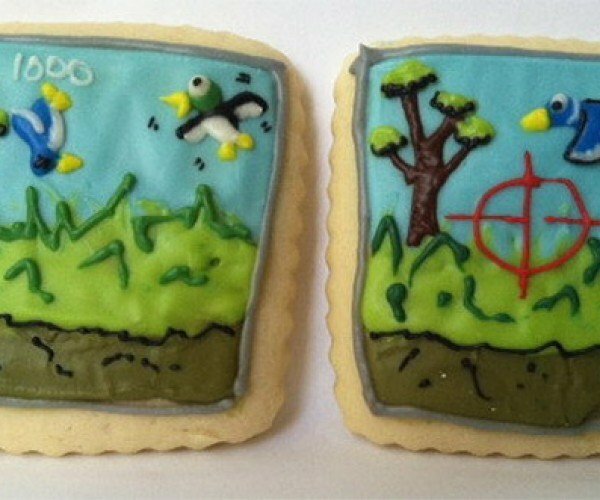 The level of detail in the icing is spectacular, and really captures the original games in cookie form. 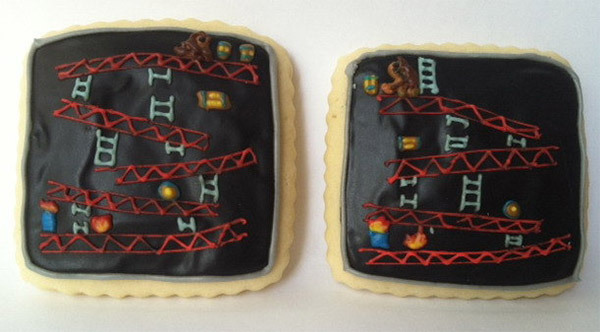 I think my favorite set has to be the Burgertime cookies, since they’re food that depicts a video game, depicting other food – including walking hot dog and a ladder-climbing egg. 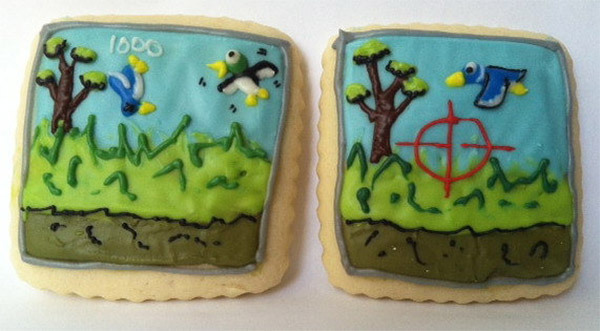 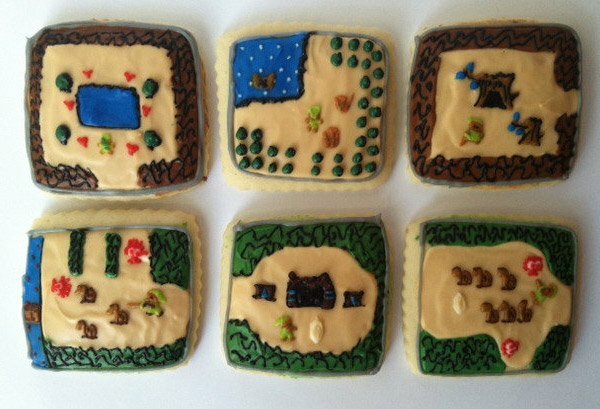 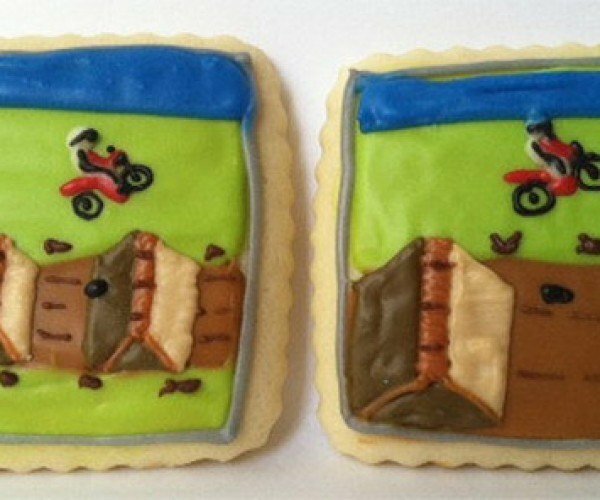 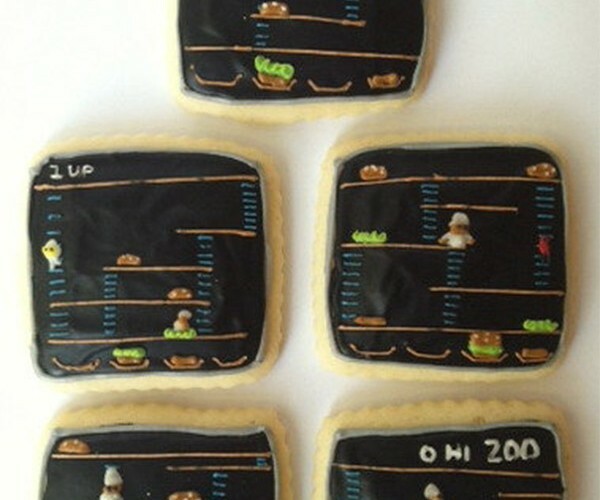 A dozen of these handmade video game cookies will set you back $54(USD), which works out to be $4.50 per cookie. 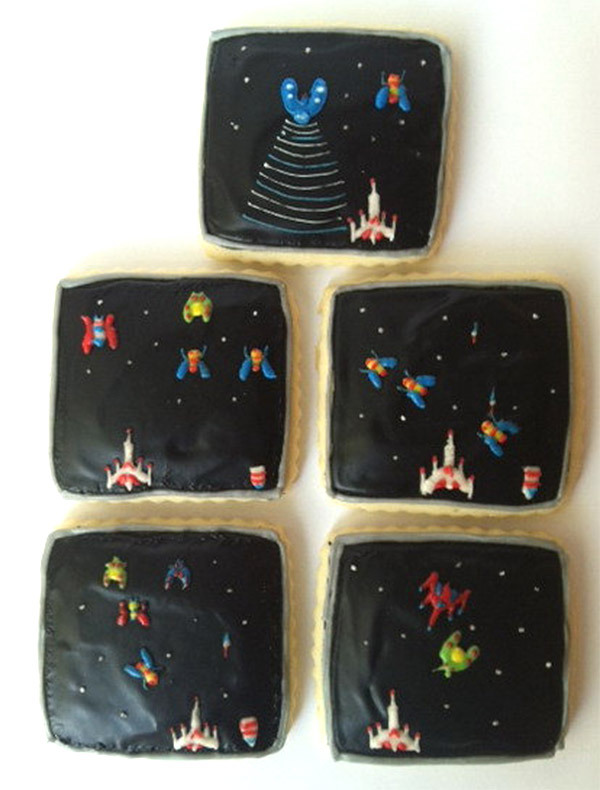 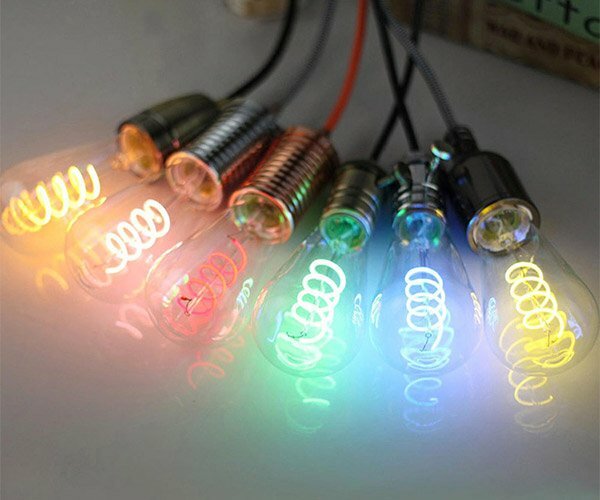 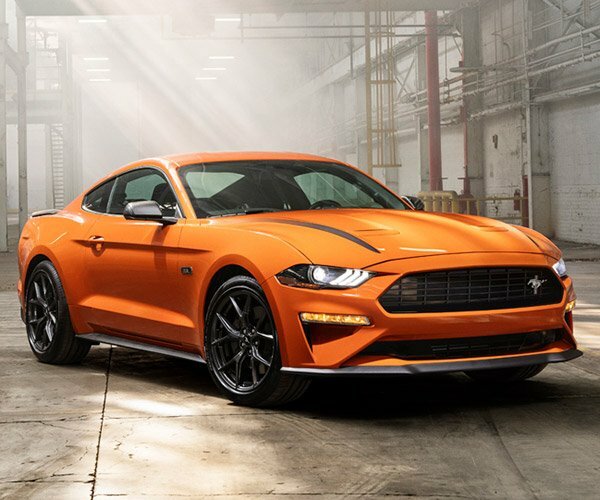 I know a lot of love and labor must go into each of these, so they’re worth it. 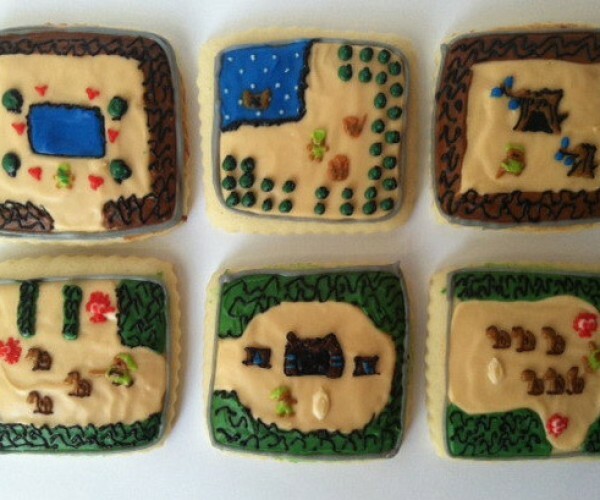 I just don’t know if I could bring myself to eat them or if I’d just frame them and hang them on the wall. 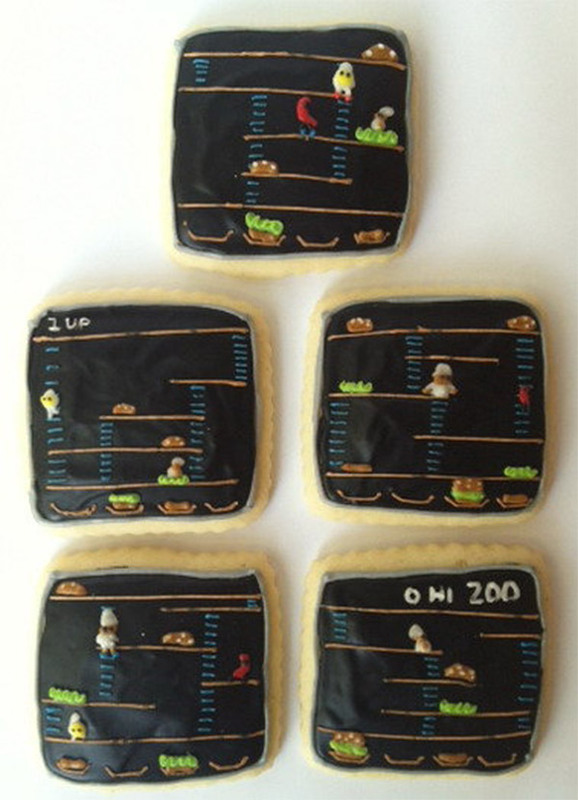 Ok, I’d eat them – all in one sitting.